Colorful and festive, our Oktoberfest Decorating Kit is a must-have for any Oktoberfest celebration. 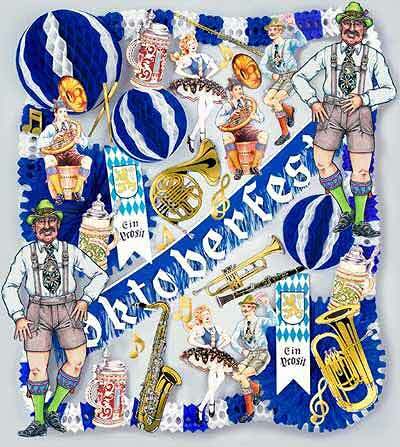 Each Kit includes an Oktoberfest Banner, Cut-Outs, Tissue Balls, and More! Contact us at 1-800-233-0828 for volume discounts. ON SALE – SAVE 25%! Jointed Mr. Oktoberfritz comes 38" tall and will complete any Oktoberfest celebration you are planning. These Custom-Imprinted Mugs and Steins make a great addition to your Oktoberfest Celebration. Choose from 7 different styles of these Custom Mugs, including our popular 15-Ounce Maritime Mug, and more. 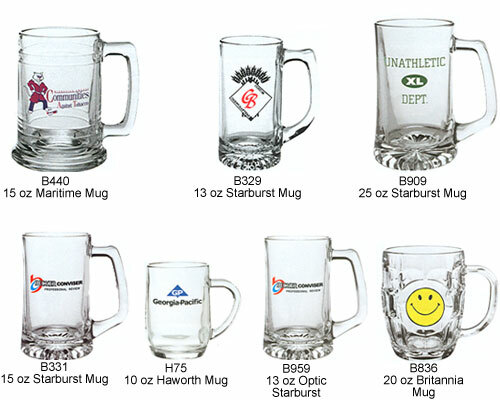 All of our Mugs and Steins can be Customized with any design or image of your choice.